An illustrated guide to some of the finest tours of northern England’s waterways, from the North Tyne in Northumbria to the Shropshire Union Canal in the West Midlands. Scenic lakes, placid canals and broad rivers, as they can only be seen from a canoe or kayak. Eddie and ‘Wilf’ have chosen the best inland touring routes. They are described in great detail and illustrated with numerous colour photos and maps. The selected routes are suitable for open canoes, sit-on-tops and touring kayaks. Many of them can be tackled as a single voyage or a series of day trips, with campsites en route. The journeys are all accessible but highly varied, taking place on lakes, sheltered coastline, rivers and canals. A wonderful book for planning voyages and inspiring dreams, or sharing your experiences with others. Eddie bought his first kayak over 50 years ago. It was a wood and canvas one in which he set out to paddle rivers in his part of middle England and Wales. Since then, he has kayaked and canoed extensively in the UK, Ireland, western and eastern Europe, the USA and Canada and southern Africa. He is also a sailor of various types of boat, and his passion over the past few years has been for long-distance canoe-camping. After a competitive career in slalom and whitewater racing, he still paddles whitewater. 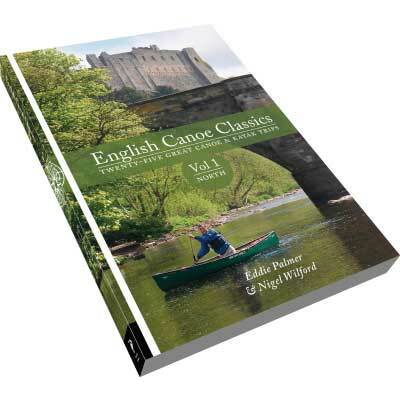 Eddie is a Board Director of the SCA and is the co-author of Scottish Canoe Touring, author of Scottish Canoe Classics and co-author of Irish Canoe Classics (all published by Pesda Press). 'Wilf' has been involved with canoeing for most of his adult life, paddling throughout the UK, mainland Europe, Canada, USA and New Zealand. Born in northwest Leicestershire, his first canoe experience was on the gentle River Soar. Not long after, he moved to Yorkshire to attend university. The enjoyment he found while paddling the rivers of the northeast firmly established canoeing as his activity of choice. In 1991 he joined the British Canoe Union’s coaching service, helping others to improve their canoeing or to become better coaches. Nigel has held various roles within the BCU including Local Coaching Organiser and English Whitewater Safety Coordinator. He is a BCU Level 5 Coach and member of Team Pyranha.